Maintain BUY and Target Price of SGD9, 20% upside. SGX will be releasing its FY18 results on 27 Jul 2018. Bloomberg data indicated FY18 SADV of SGD1.24bn, which is in line with our expectation of SGD1.2bn. We are bullish on FY19’s SADV, forecasting SGD1.39bn as global uncertainties drive trading activities. Factoring in some negatives from the trading of Nifty 50 Index Futures, we are forecasting FY19 DADC of 0.82m, which is similar to 4QFY18’s DADC. SGX’s FY19F dividend yield of 4.6% is attractive vs Singapore’s sovereign 10-year bond yield of 2.42%. SGX recorded FY18 securities average daily value (SADV) of SGD1.24bn, which is in line with our expectation of SGD1.2bn, and higher than FY17’s SGD1.12bn. For 4QFY18, SGX recorded SADV of SGD1.26bn, which was 11% weaker q-o-q. Though Jul 2018’s MTD SADV of SGD1.11bn was weak, it could have been partly due to the FIFA World Cup that led to lower trading volumes, in our view. Looking ahead, we are bullish on SADV, and have assumed FY19 SADV of SGD1.39bn. Global developments, including further hikes in the US Federal (Fed) funds rate (FFR) and trade war concerns, could stimulate more switching of stock holdings in investors’ portfolios and in turn generate trading volume. io. 4QFY18’s derivatives average daily volume (DADV) came close to our FY19 assumption. The 4QFY18 DADV of 0.82m was 11% lower q-o-q but was 14% higher y-o-y. The sequentially weaker trend was largely attributed to q-o-q weaker trading volumes for the China A50 Index Futures. io. Our assumption for traded volume. io. Good earnings growth and strong balance sheet. We are forecasting FY19 net profit growth of 9.7%. 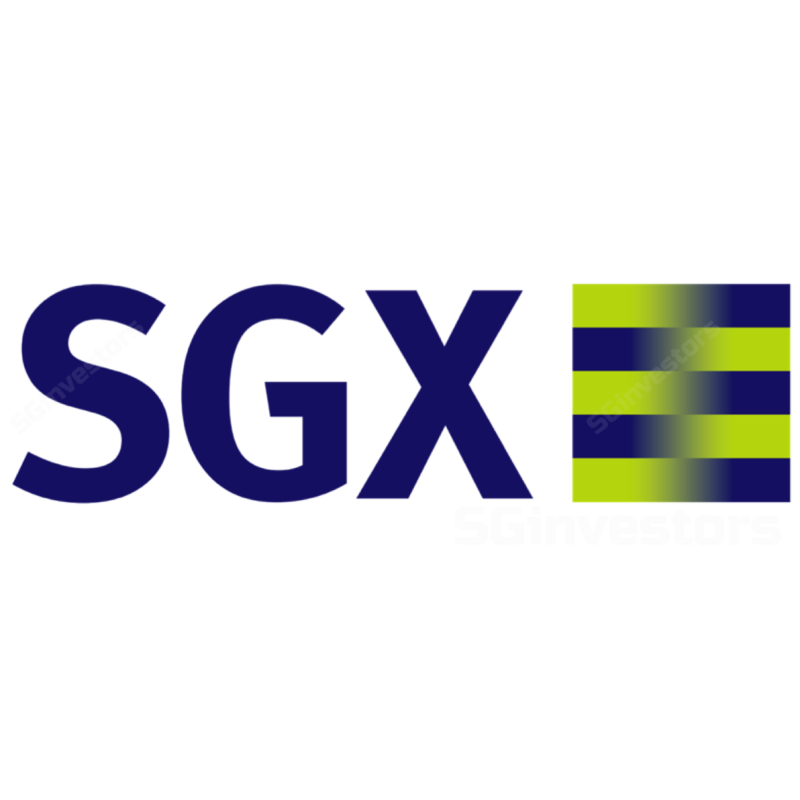 SGX is in a net cash position and has a monopoly over the trading of Singapore equities. Our Target Price of SGD9 is based on FY19 P/E of 24x or 1SD above the 3-year mean of 22.2x. io. SGX’s FY19F dividend yield of 4.6% is almost double that of Singapore’s sovereign 10-year bond yield of 2.42%. io. Key risks are global economic fluctuations and geopolitical developments. The outcome of the arbitration between SGX and IISL could also impact future derivatives trading volume and hence earnings.